It seems that the desire for facial enhancement procedures is increasing daily. Sagging skin, sunken cheeks, wrinkles, and fine lines are just some of the most common reasons patients desire a youthful appearance and wish to rid their face of imperfections. Fortunately, advancements in plastic surgery and cosmetic procedures have created many treatments that provide substantial results. Dr. Diamond’s Diamond Facial Rejuvenation is inclusive of but not limited to facelift surgery, neck lift surgery, upper and lower eyelid surgery, brow lift surgery, and lip lift surgery and is designed to produce stunning results that are guaranteed to leave your face looking and feeling younger. Dr. Diamond ensures that your results are natural and the degree of elevation made to your brows is very subtle. Neck lift surgery should not be performed on patients who lack skin elasticity, as it will not remove excess skin. If you would like to address sagging skin along the neck, Dr. Diamond’s neck lift can be performed in conjunction with other procedures to give the most effective definition and rejuvenation to the jawline. 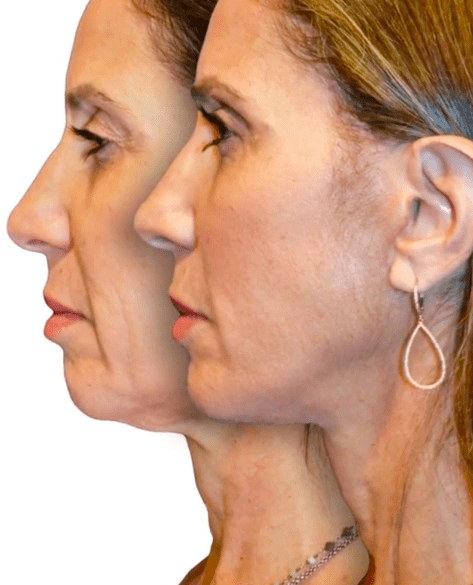 The most common procedures associated with neck lift surgery would be a lower facelift and chin implants. As the elasticity of the skin decreases, excess amounts of skin can begin to develop in specific regions of the face. By definition, removing excess skin along the face would require facelift surgery. Dr. Diamond’s deep plane facelift (or high SMAS facelift) is a surgical procedure that creates a backward and upward lift toward the top of the ear by tightening the SMAS, which is the deep, thick layer of tissue beneath the skin. 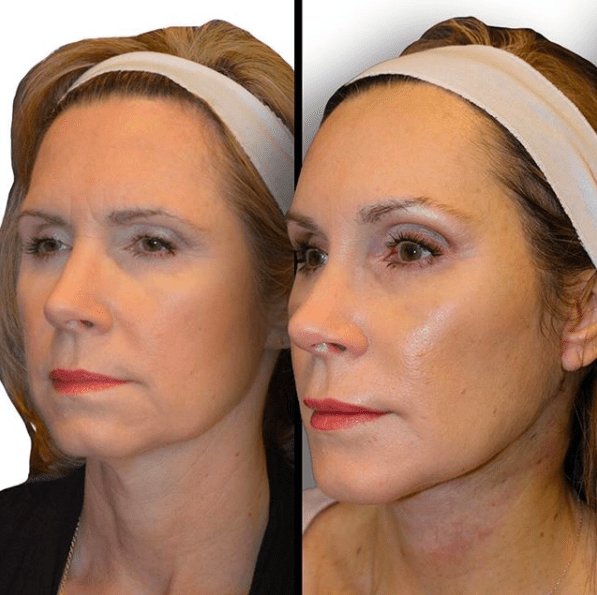 It is perfect for patients looking for a nice, natural, and conservative rejuvenation to their face and neck. This procedure places all of the tension on the SMAS layer, that way it does not create a pulled look or cause stress to the skin. To learn more about our facial rejuvenation options, please call Dr. Diamond’s office at (310) 859-9816 to set up a consultation today.